As a passionate flutist, Taylor is excited to share her knowledge with beginner to intermediate level students. Together we will create musical goals that are customized to each student, work on fundamentals and technique, and build your repertoire. Let's make music! Taylor Rossi hails from the Hudson Valley, New York where she grew up studying classical ballet and flute. Further pursuing her interests in the arts, in 2016 she earned a Bachelor of Science in Music Education from the College of Saint Rose under flute professor, Dr. Yvonne Chavez Hansbrough. Between 2013 and 2015 Taylor was selected three times by the College of Saint Rose music faculty to perform in Honors Convocation and in 2014 was the Overall Runner-Up for the Patricia Brady-Danzig Concerto Competition. 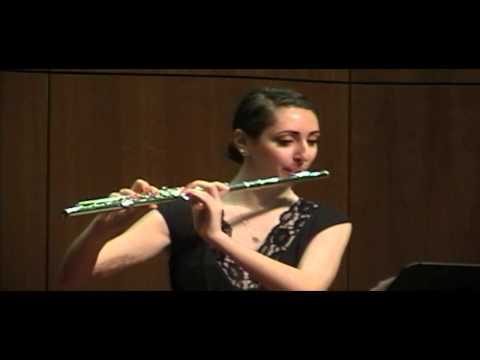 She has had the opportunity to performed in masterclasses for distinguished flutists including Amy Porter, Julia Bogorad, and Marina Piccinini. Taylor moved to Boston in the fall of 2016 where she freelances for orchestras and pit ensembles in Boston and throughout New York State. In addition to performing, she enjoys working with students of all abilities through private lessons. Taylor’s interests outside of music include baking, running, yoga, reading, photography, and exploring local coffee shops.